Praise Report | For the Love of Peanut Butter! Peanut Butter! Most of us grew up on peanut butter and jelly sandwiches and continue to use it in our daily adult lives. Not only is it delicious but it’s also packed with nutrition and good fats. Peanut butter provides protein, vitamins B3 and E, magnesium, folate, dietary fiber, resvertrol, arginine, and high levels of the antioxidant p-coumaric acid. 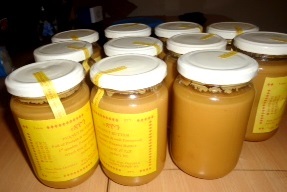 Handmade peanut butter ready for distribution. 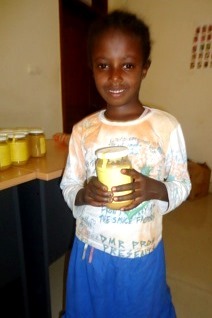 Blessing the Children has started the initiative to provide each child in the sponsorship program with a jar of peanut butter each month, in addition to their normal food support. This started last month (March) and was a huge hit with the children. They loved the peanut butter and we loved the nutrition it provided them. Excited to try her first jar of peanut butter! 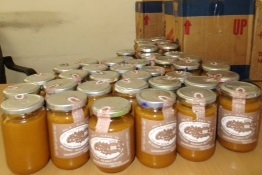 In addition to filling the children with nutrition and good fats, the purchase of close to 200 jars of peanut butter each month with be supporting some local families in Ethiopia who grind and jar this peanut butter from home and we know exactly what is going into the peanut butter. No chemicals or additives. We are looking forward to continuing the peanut butter distribution every month and appreciate everyone who sponsors a child to make this possible! We couldn’t do what we do for these precious children, without you! Four years ago as I sat in missions chapel at my university I saw Ethiopia roll across the screen. Little did I know that this mission would change my entire life and way of thinking for each and every day. I signed up, still not knowing what all it entailed but who wouldn’t want to go to AFRICA?! 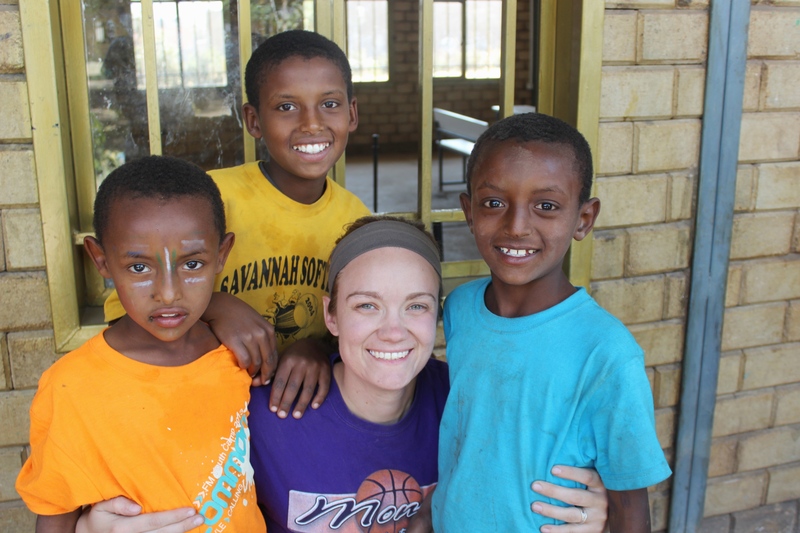 Once arriving in Ethiopia, I felt right at home – from home visits, to teaching sport classes to attending the church services. At night I would have to remind myself that I was halfway across the world, in a time zone 8 hours ahead of mine with people who spoke a completely different language than me. The love and humbleness shown towards our team is something that I cherish and try to tell others about but it will not do justice until you visit yourself. 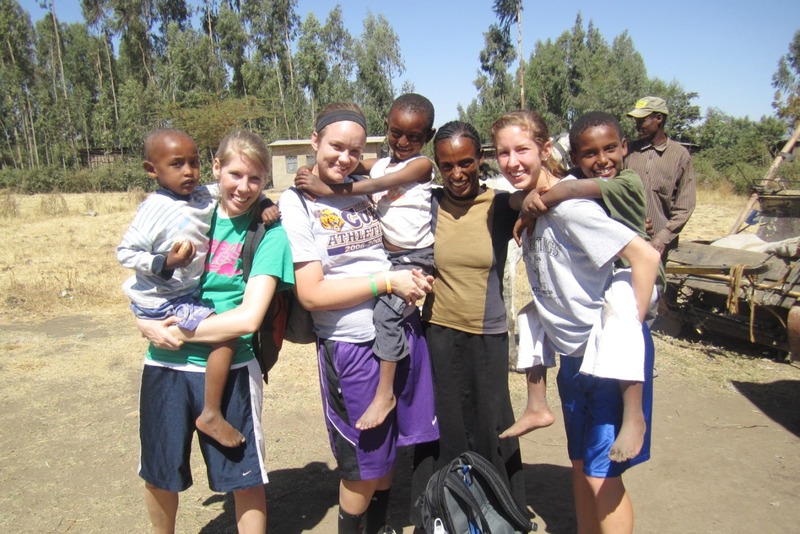 As a short-term missionary we went over to serve the Ethiopian people but yet we came back with countless blessings from them. The joy that the people have on their face is unexplainable when one would look at all of their lack of goods they have. But they have the joy of the Lord that puts that smile on their face each and every day and He provides their needs – not their wants. I have always wanted to sponsor a child but never felt the tug from the Lord on which one so I was still in the praying stages. Before we left for our first mission trip, I was given some copies of the BCI children to pray over and was told that if a certain child stuck out to me to let our leaders know and we would be able to visit their home. A little 6-year-old boy stood out to me but I just thought it was because he was adorable. I never told anyone but continued to pray for him and began asking the Lord if this was the child I was supposed to sponsor. Denae’s first visit with Yakob & his family. When we got to Ethiopia we headed out to do a home visit and it was the home of this little child I had been praying for! His name is Yakob and one of the most precious children you will ever meet. We immediately connected and became great buddies for the rest of the trip. He learned my name and would ask for me at school if he saw my other team members and I wasn’t there. Even at this point, I still did not have an answer from the Lord about sponsoring him. I knew that I wanted to sponsor him but what did the Lord want? Denae & Yakob at a BCI Activity Day. After getting back from this mission trip, I began to pray harder for Yakob and his family. I didn’t want to sponsor a child on a “high” of a mission trip or on my wants. During every quiet time I had with the Lord and during every Bible reading, Yakob was right there at the front of my mind. After being back in the states for 2 more months, I contacted BCI and signed up to sponsor Yakob! Yakob became a very important part of my life. I would anxiously await the letters he would send me with his handwriting and pictures he would draw me. 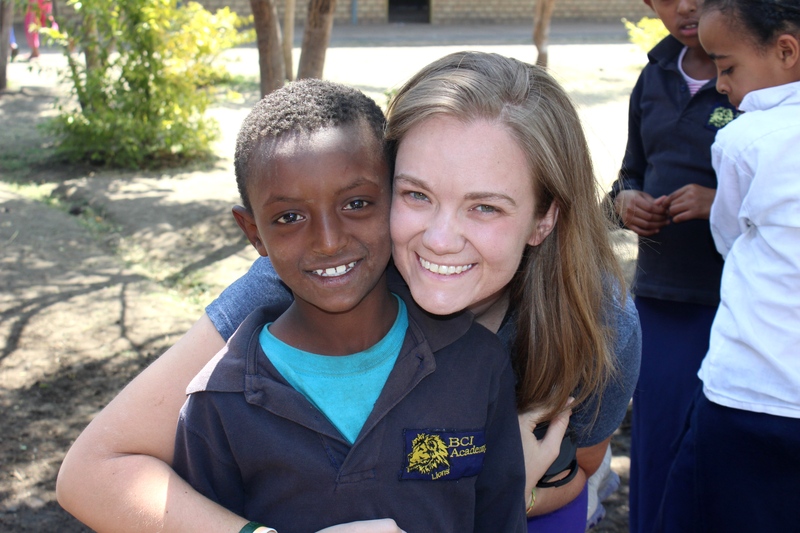 In going back to Ethiopia the next year, I knew that I wanted to sponsor another child but with my income of a college student, I wasn’t sure how that would work out. I began praying specifically for sponsorship and how I was to play a role in it. I began to flip through the BCI booklet daily but still did not have a specific answer. 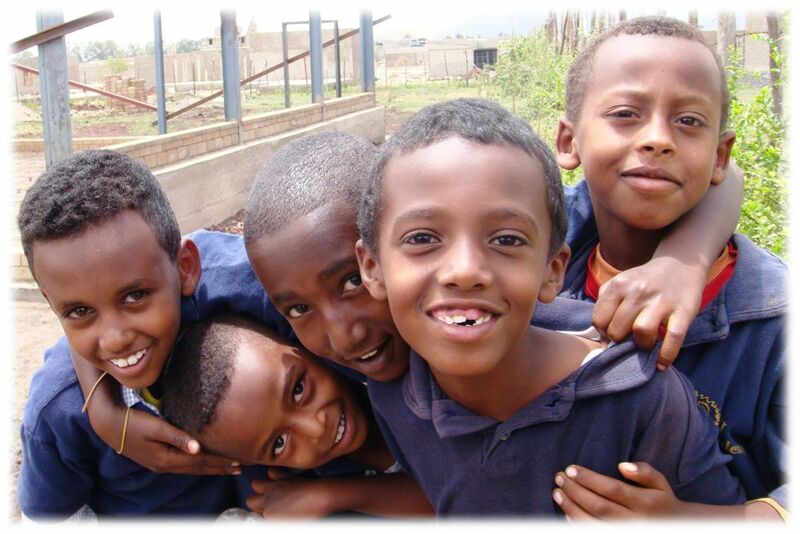 One day we were walking back from a home visit and I specifically remember walking with one of the social workers down a typical dusty Debre Zeyit street – if you ever go with me I can show you the exact place! I noticed that one of the children only needed a small amount of money to be fully sponsored, which wasn’t normal. I asked the social worker if this amount was correct and it was! I immediately told her that I would take it and he would be fully sponsored! I remember her looking at me and saying “Are you serious?” I said, “YES I will sign up when I get back to the states”. Denae & Bizuayehu at the BCI Academy. 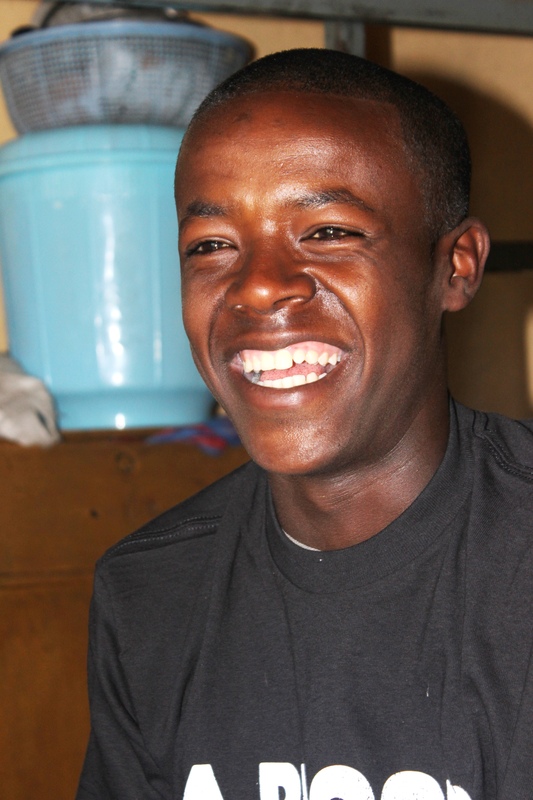 Bizuayehu is now 15 years old and knows English very well so we are able to converse without a translator! He also helps us as a translator when we need him to. He is always wanting to be helpful and in the middle of everything. 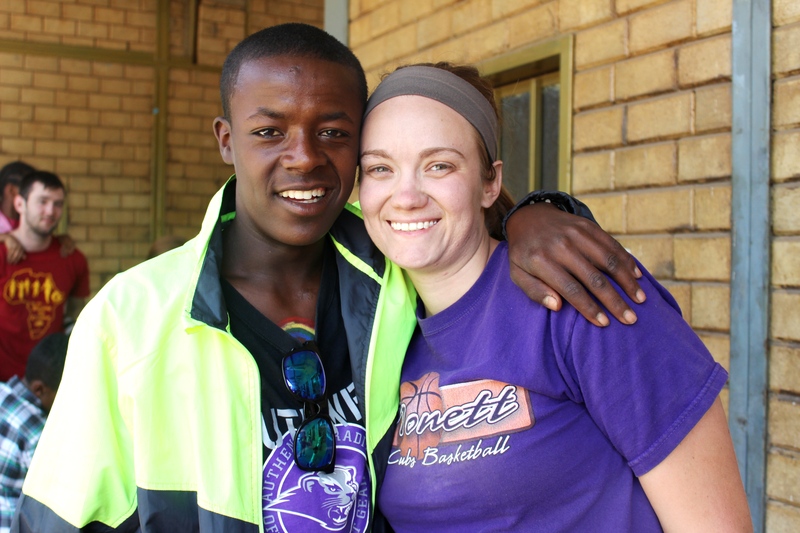 He has a big smile that is always on his face and he constantly puts himself behind so that he can serve others. These two boys are a huge part of my life and I love them very much. Would you partner with me in prayer concerning them? They both have the joy of the Lord and are such sweet children. The joy they bring is something I cannot explain. As I write this, I am smiling and thinking about all of the memories I have with them. I miss them very much and am praying for the next opportunity to see them. Denae, Yakob & his brothers. To sit back, wait and watch the Lord work even when I am back in the states is AWESOME! Countless people have signed up to go on mission trips, started sponsoring a child, partnered with me financially, became a prayer partner and have given donations to the children and school. I cannot express how thankful I am for the support system I have but more importantly for a God that blesses me everyday of my life. In closing, a missionary by definition of Webster is a person who is set on a mission. I know that Ethiopia is sometimes a far-fetched place and hard for our minds to comprehend but I would encourage you to pray and ask the Lord how YOU can be a part of this mission. Everyone is needed from moving as a full time missionary to a person of daily prayer for the country. I also would like to remind you that we are on a mission each and every day of our lives. There are people around us daily that need the love of Jesus shown to them. We are in the exact spot that the Lord would have us at for a reason and it’s all in His perfect plan for our lives. As we live our daily life, let’s think about how we are living. Are we being positive or negative, uplifting others or bringing them down, proclaiming Christ or not? We have a responsibility as a Christian but are we holding up our end? Yakob with gifts from Denae. Working in a third-world country, we find this to be more of a journey than an end. Partially due to availability of quality materials, and partially due to being in a culture where people strive for enough to simply survive another day… not much attention is paid to excellence. Even so, it’s a principle that we strive for daily. 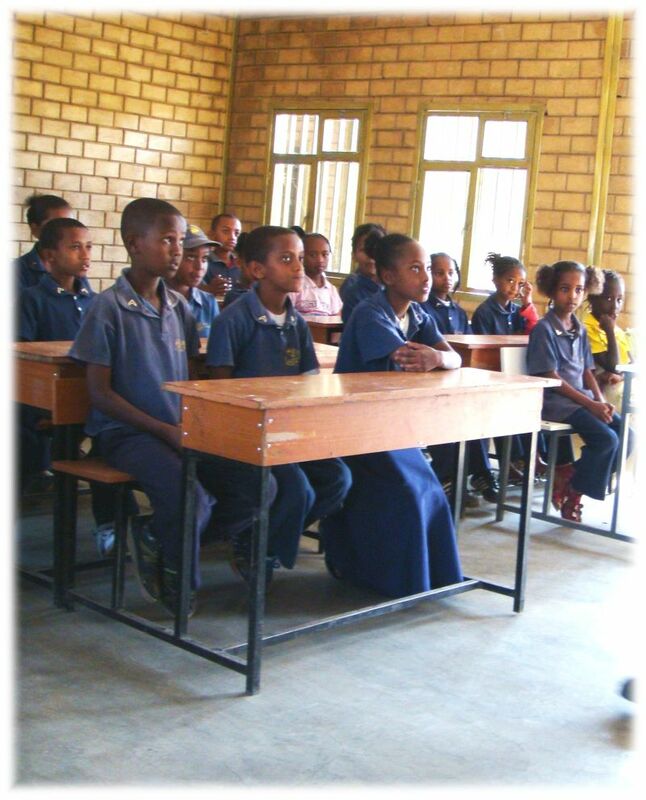 Over the past years, we have tried several local manufacturers in Ethiopia to supply school uniform shirts for the BCI Academy. Several companies claim to have durable uniforms, but we have been disappointed with their uniforms not lasting. This past year, we got our foot in the door of a manufacturer that only deals in quantities of 5,000 or more and claimed their products were “Export Quality.” They agreed to a run of 800 shirts for us and we were excited that we finally found a quality uniform for our kids. The price was much higher than we paid previously; almost $6/shirt, but we figured if we want quality we’ll have to pay for it. We picked up half of the shirts and paid for that half. In just a month of use, the uniforms were discolored and the stitching was beginning to fail. Our staff returned the unused uniforms and will not be paying for the remainder. These experiences of trying to purchase uniforms in Ethiopia has caused us to re-think our approach. We contacted a uniform wholesaler here in the United States for pricing. A member of our board used to run a school uniform company and this was their supplier, so we know their quality. 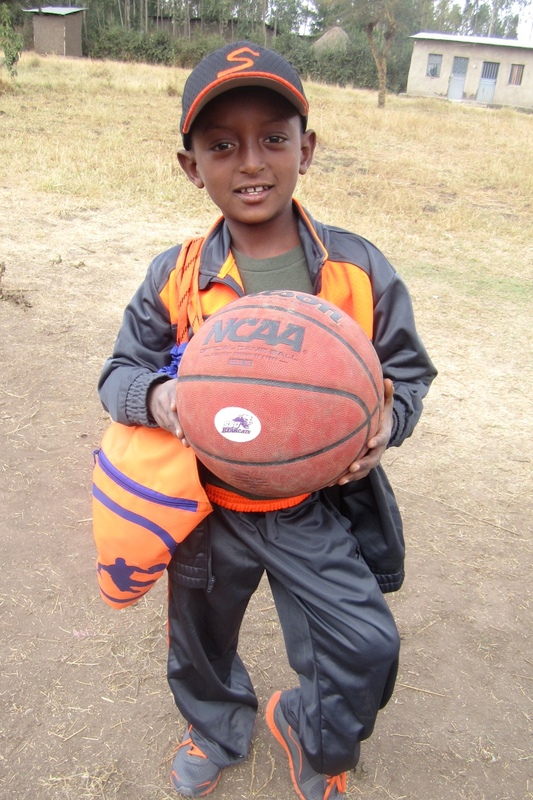 When we spoke to the U.S. wholesaler and shared how these were for children in Ethiopia, they offered us an additional 8% discount to their already low prices. 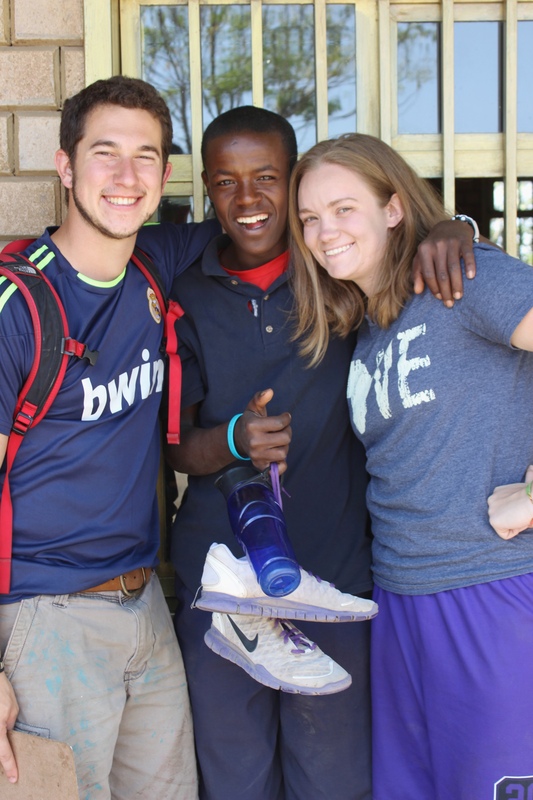 We will be getting quality uniform shirts for just $3.25 each, half the cost of uniforms available in Ethiopia. We really need two shirts for each child, for a total of 700 shirts. The total cost needed to purchase the uniform shirts is $2,275. We need to order them now so that we have the summer to ship the shirts with team members, saving the shipping cost to Ethiopia. This will permit us to have the uniforms available for the beginning of school this fall – in September. Please consider making a donation to this urgent need or sharing this need with someone you know. This is an urgent need and will make a great impact as we strive for excellence in everything, including school uniforms. Will you join us in this new approach?